The WS-833 sports a direct USB connection, large 8gb internal storage drive, FM tuner ….. The premium unit from the WS range. High end performance, high end functionality. 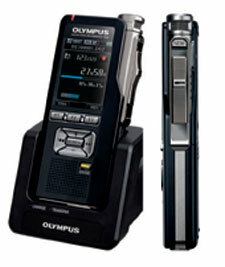 The WS-833 Olympus sports a direct USB connection, large 8gb internal storage drive, FM tuner and noise cancelling for optimal clarity. The recorder supports microSD cards up to 32 GB via the card slot found adjacent to the unit’s battery compartment. The integrated USB connector can be easily deployed using the slide lever for easy connection to a computer. The WS-833 Olympus can be usilised as a mass storage devide and can also recharge the battery when a NI-MH battery (not included) is installed. A high-sensitivity FM tuner is also included so that clear radio can also be recorded from the WS-833 device. 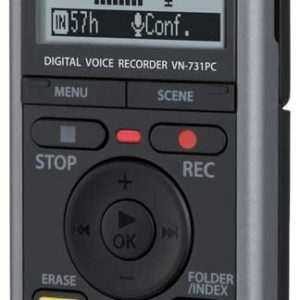 One of the many advanced features of the WS-833 allows users to activate the Voice Playback function that automatically skips parts of recordings without voices and plays back only the voice portions of the recordings. The transcription mode allows for easy operation of playback functions. Combined, the two improved technologies make for increased usability. Additionally, when recording meetings in large rooms, due to speakers often being different distances from the recording device, the advanced Voice Balancer function adjusts the volume levels of all parties so that playback is clearer. The low-noise directional stereo microphone with 90° layout creates a superb stereo quality which allows you to feel the full ambiance of a meeting – including the direction or location of the speakers in meetings and conferences. A combination of improved circuitry and an improved low cut filter eliminates extraneous background noises such as air-conditioning units, projectors and wind for even better audio clarity. By pressing and holding the menu key, recording and scene selection options can be accessed. The modes automatically configures and optimise settings according to the situation. 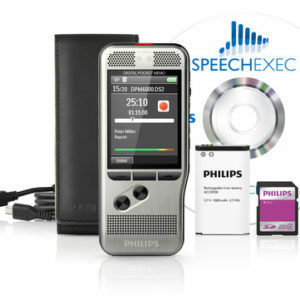 With five recording preset modes: Lecture, Conferences, Meeting, Dictation & DNS (for Speech to Text application) and two playback modes: Transcription & Language Study, it’s possible for anyone to easily achieve trouble-free, high quality recording and playback.